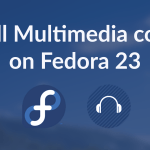 So you have just installed Fedora 23 on your machine and looking for some great experience. This post shows you how to tweak your Fedora system and install additional apps to make your system more useful and user friendly. This includes installing must have utility apps, enhancing multimedia support on the support, and tweaking some settings. On my system for example the dnf command failed again and again as it was not able to connect to mirrors.fedoraproject.org due to dns issues. The first thing to do is update your system with the latest version of all packages. This is simple, just run the following command and sit back till it finishes. It will update all installed packages to their latest versions, so will take time. After updating the system, its time to tweak and tame your system. The Gnome tweak tool allows you to modify various aspects of the system like theme, fonts and so on. After installing Gnome Tweak, logout and re-login. This is necessary in order to complete the installation properly. 2. Extensions > Enable Applications Menu - This will bring up a nice simple applications menu on top left, just like other desktops. 3. Windows Tab > Titlebar buttons > Turn Maximize, Minimize buttons On - This will show maximize and minimize buttons on window title bars much like it used to be in the previous century. 4. Top Bar Tab > Disable "Show Application Menu" - This will remove the un-necessary active application menu on the top panel. This extension will disable the hot corner on top left that causes the Activities view to come in the moment you hover the mouse. If you are using the "Applications Menu" and "Window list" taskbar then the hotkey is kind of un-necessary. So Install the "No Topleft Hot Corner" gnome extension from the following Url. Firefox is there by default, and you have the option to add Google Chrome and Chromium. To install Google Chrome visit the site and download the installer rpm. Then install the rpm package with the dnf command. All necessary dependencies shall be pulled in automatically. Firefox does not have any flash plugin by default. You can install it using the rpm package provided by Adobe. Visit http://www.adobe.com/software/flash/about/ to check that flash is working fine. Note - The flash player for linux provided by Adobe is out-dated and does not receive any updates. The alternative is to install the PepperAPI based Fresh Flash player. However since the process is complicated it is recommended that you use another browser like Chrome or Chromium for viewing flash specific content. This page here explains how to the fresh flash player for firefox on fedora. Ipv6 is enabled by default on most linux systems including Fedora. However if you isp does not yet support ipv6 then its better to disable it to prevent your system from making any ipv6 connection attempts. This prevents network connectivity delays and improves performance. Click the top right area of the panel and go to connection settings. Go to Ipv6 tab and click turn off button. The Clipboard shell extensions acts like a clipboard manager, keeping history of recent items that you copied to the clipboard. Its a useful productivity tool. Dropdown terminals provide quick access to terminals at the press of a button. The slide down from the top and hide again when not needed. Guake is a dropdown terminal app. Once installed, it can be launched from the applications list. To configure Guake to startup everytime you login, Go to Gnome Tweak Tool > Startup Applications. Click the "+" button and in the application dialog, search for Guake Terminal and add it. If you use torrents for downloads then install a good torrent client like Deluge or qBittorrent. Both are available in the fedora repositories. Download managers help you download large files with ease with the ability to pause and resume the download. Uget is a simple robust download manager for Linux that you can use to download files with direct urls. It is available in the Fedora repository. The TopIcons shell extension shows the system tray icons on the top panel like before. For example when you are running pidgin, the status icon will show in that area. Dropbox is a very popular cloud storage solution and it works fine on most linux distributions including Fedora. Note, this is not the actual installation process. After the rpm is installed, launch Dropbox from the Applications menu and it will start the actual download process. And then select Fedora from the Linux distribution list and download the rpm file. Lots of games are available in the Fedora repositories and all of them are free. Look into Games section of Software Manager and install the ones your like. 0 AD, Frozen Bubble, Supertuxkart, Open Arena are some very popular games. The RPM Fusion repository provides lots of software applications that are not present in the Fedora repositories. Enabling RPM fusion shall allow you to install these additional software packages. The above command would setup the rpmfusion free and non-free repository and now you can install software from it. So lets install some apps from it. The multimedia codecs are needed to play different kinds of video formats in apps like Smplayer. These codecs come from the rpmfusion repository. Then install the libdvdcss package. Install these additional archive formats so that apps like file-roller can work with more formats like rar. Here are some more apps that you can install. All of them are available in the Software Manager tool. That's all for now. If you followed all the above steps, your Fedora system should by now be more useful and powerful. If you have any useful tip that you would like to add to the list or some error to point out then please make a comment below. I recommend Nylas as a powerful alternative to Thunderbird. Also, would love to see you include a powerful Linux alternative to “ShareX” the Windows desktop app that gives you a powerful batman utility belt. Excellent share and thank you very much! Well, the command to update fedora is “sudo dnf update”. The command which you suggest here is “sudo dnf upgrade” which will upgrade to another version of fedora. I disagree! 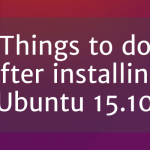 If you install all those things you completely changed gnome3! 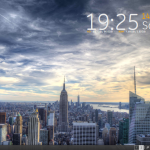 If you want that just use Linux Mint! Except for the added codec packs and maybe some additional software such as Thunderbird and Gimp and maybe Skype you should not follow this guide unless you tried the default and you were not happy with them! 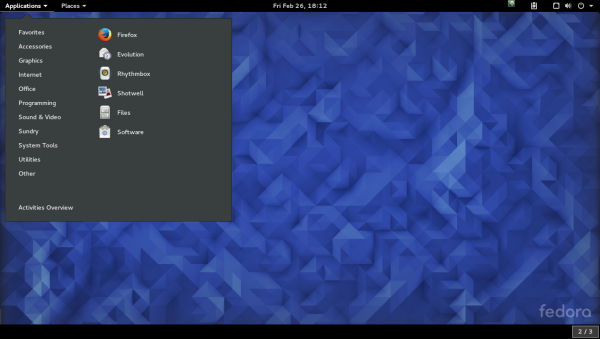 These customizations make Fedora different but most of them do not make it better! Jumping over to RHEL based stuff after being on Debian for awhile, and all these ‘Top nn things to do after an install” seem to make a distro perform like another distro. Sadly only thing I found on here worth anything was your comment of which I agree with.